We read with interest the article by Axelsson et al. about the potential risk of lung cancer due to inhalation of radioactive radon gas. Indeed, this has been the subject of many scientific papers around the world for years without clarification of whether there is risk or there is no risk when the radon concentration is low. The paper by Axelsson et al. 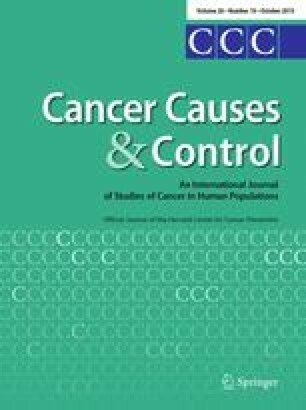 states that “residential exposure to radon is considered to be the second cause of lung cancer after smoking.” The authors cite the publications of many well-known radon experts, especially the analysis of 13 European case–control studies by Darby et al. . They underscore their basic argument that in Sweden, there is a 16 % increase in the risk of radon-induced lung cancer per 100 Bq/m3. However, there appear to be logical mistakes in their reasoning, which are presented below. All signers of this letter are members or associate members of SARI (Scientists for Accurate Radiation Information, http://radiationeffects.org/). The above letter represents the professional opinions of the signers and does not necessarily represent the views of their affiliated institutions. Jeffrey Mahn has retired from Sandia National Laboratories, Albuquerque, NM, USA and Bill Sacks has retired from FDA, Rockville, MD, USA.